The locality is non-productive since decades, the last mining project was specimen mining initiated from „Collectors Edge“ in the mid of the 80ties. But the particular crystal is even older - the last project produced only green to blue green crystals. This intense, dark vine-red color was very rare! And the crystal is even bi-colored with a olive-green cap! The end points are pyramidal, all edges are sharp and faces show a very good luster. 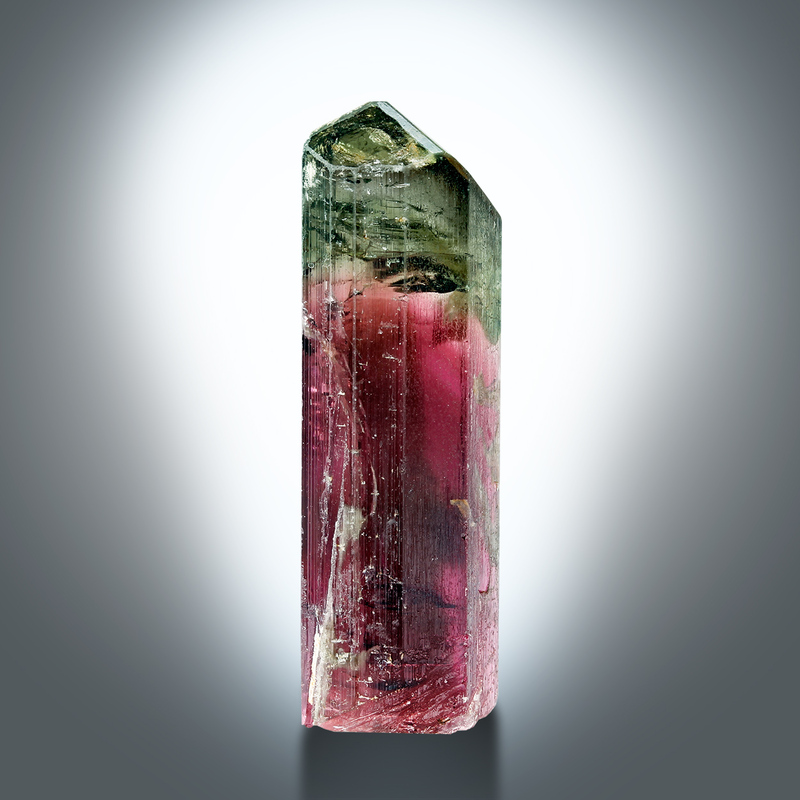 Although there are a few inclusions the crystal shows remarkable translucency - it doesn’t need any backlight to expose this very unusual color. 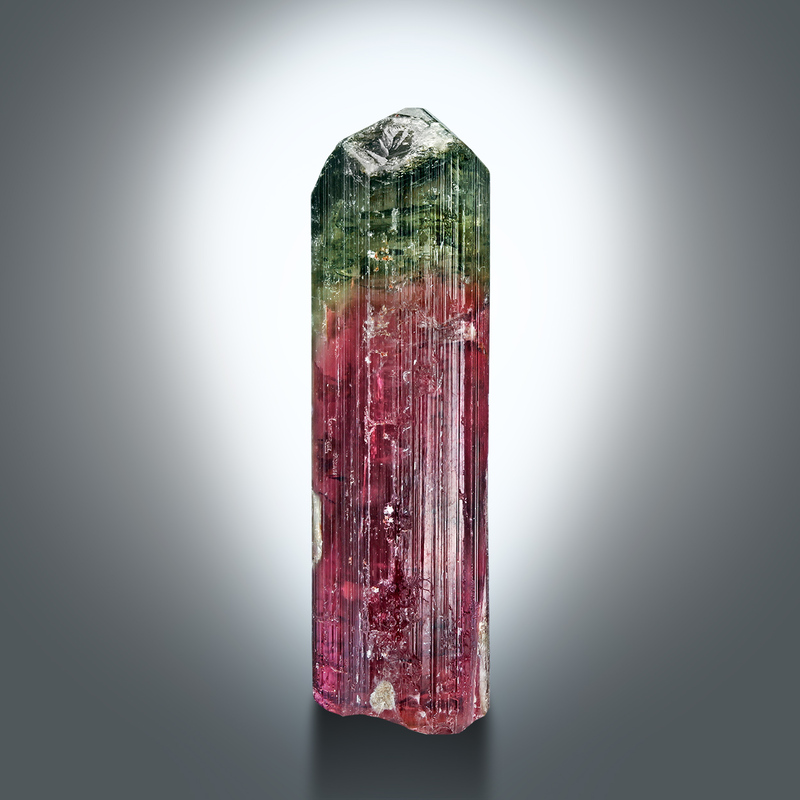 Compare with crystals from Brazil or Asia - crystals are most times pink, violet or even purple, but true red is really very special - even on international standards. Material from Otjua - even less attractive, uni-colored crystals - are very hard to obtain, the market is more than empty! Should be very high ranked for this rare, classic locality. No significant damages to report, bottom was on the rock.